Caption: Firas Al Msaddi: forming a strategic partnership to exploit huge potential for Dubai real estate in the Chinese market. 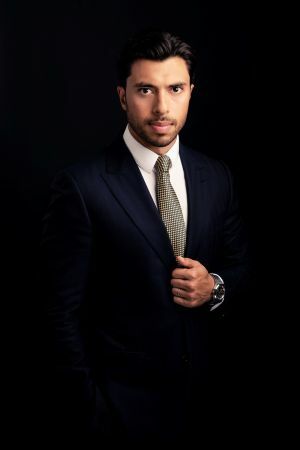 After a second successive award-winning year in Dubai real estate, Firas Al Msaddi, CEO of fäm Properties, has set fresh targets for 2019 when he says at least 50% of the company’s sales will come from Chinese investors. The Dubai Land Department (DLD) has honoured fäm Properties as the top-selling real estate agency in the emirate overall for 2018 with total sales of AED1.33 billion. Al Msaddi has also been recognised by the DLD as the leading individual broker for 2018 with a total of 262 transactions. Meanwhile, the agency recorded the highest volume of sales for master developer Meraas in 2018. It was the second year in succession that the company topped sales with the DLD and Meraas, while fäm’s brand was lit up on the Burj Khalifa by Emaar Properties to mark its performance last year. “My first move was to call together my team, the best in Dubai real estate, to thank them for their efforts to ensure we achieved so much in what was a demanding year,” said Al Msaddi. After conducting extensive research into Chinese investment potential for Dubai property, fäm will shortly be finalising a strategic partnership to maximise this. “There is huge potential for Dubai real estate in the Chinese market and we’re adopting a strategic approach to give fäm a strong presence there and ensure we’re able to tap into it,” he says.